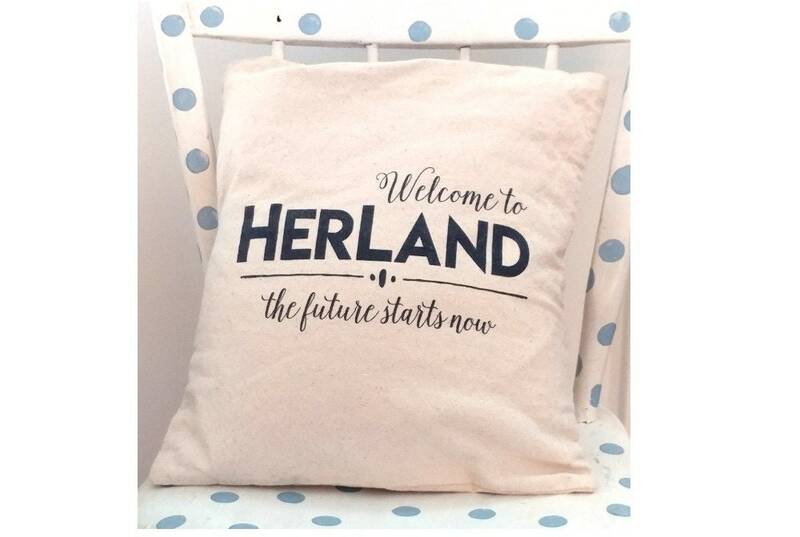 Canvas cotton pillow case, welcome to herland, the future starts now. 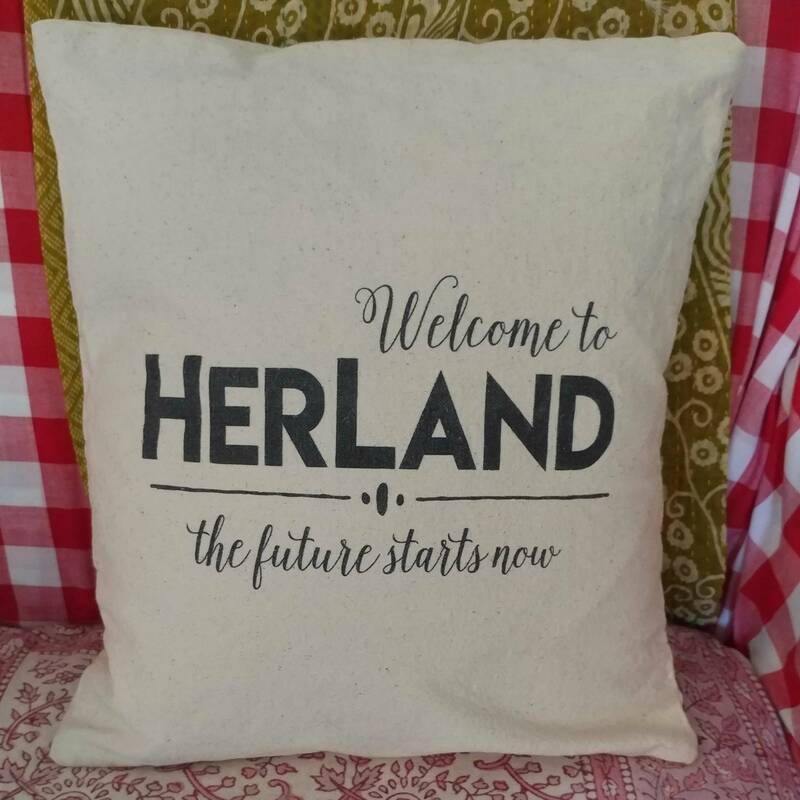 Square pillow, two sizes. 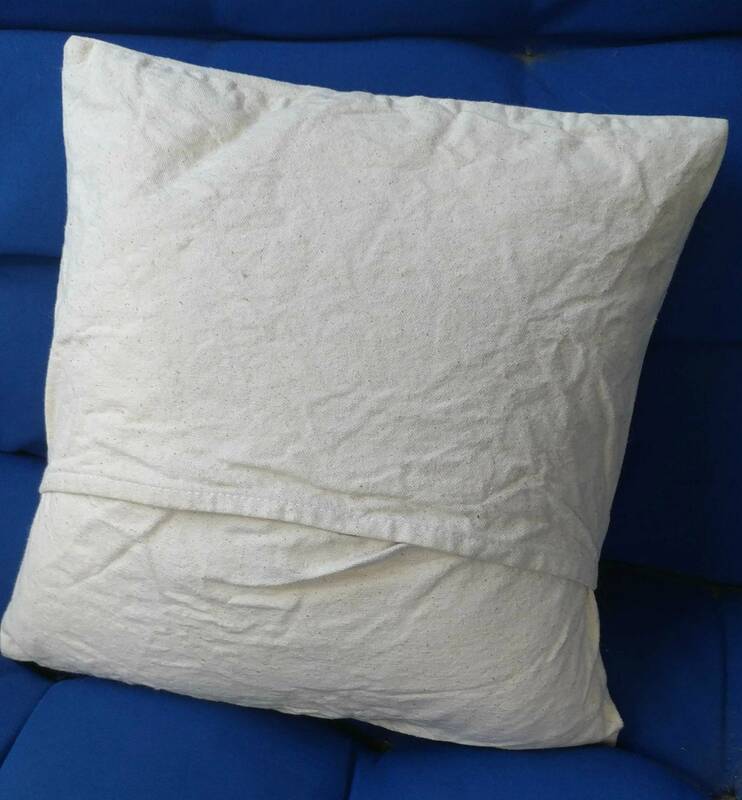 100% cotton canvas pillow case. 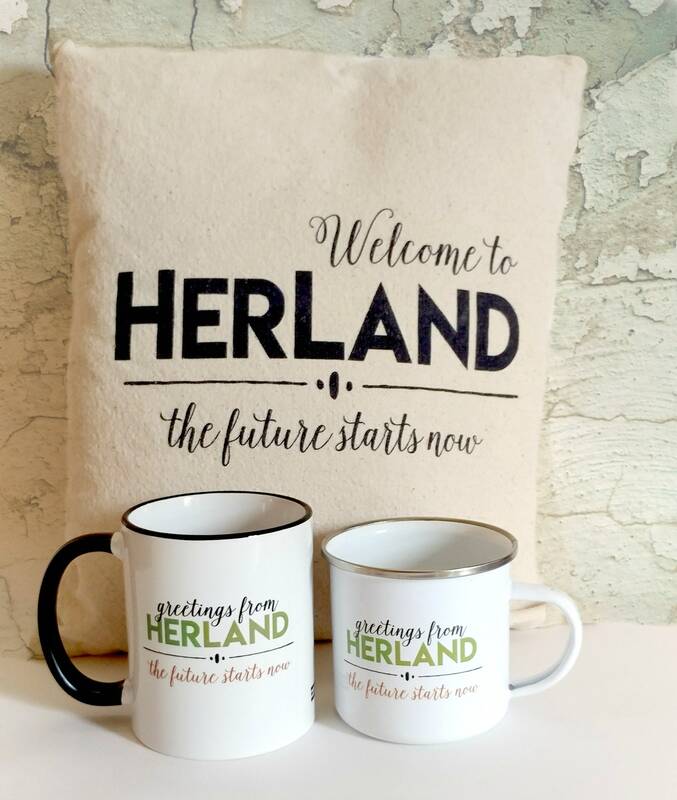 Welcome to HerLand. The Future Starts Now. -Care: Spot Clean with Mild Soap and Water. - Or wash in cold water and air dry flat. Do not machine dry. Washing will give it a more relaxed look.